Giloy is quite popular among naturopaths. It is considered good for digestive problems and pain. It has recently been considered for swine flu treatment as well. There is a risk of side effects when using giloy. Giloy(Tinospora cordifolia), also known as heart-leaved moonseed, is a popular plant in the Indian sub-continent. It has been used for various health benefits in Ayurveda. The amazing plant offers anti-pyretic, anti-inflammatory, anti-arthritic and antioxidant properties making it a suitable natural treatment for various health problems including digestive problems, inflammations, blood purification and pain. 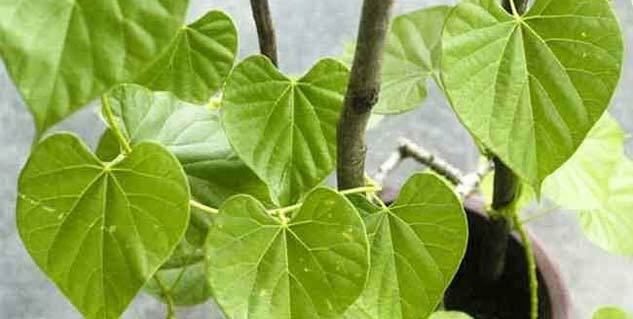 Other common uses of giloy include treatment of ailments such as cardiac debility, anaemia, leprosy, and jaundice. It has also been considered quite effective against swine flu. However, people often ignore the possibility of side effects of giloy. It is likely that extensive use of giloy for natural treatments of health problems may pose risk of some unwanted results. If you have been unaware of giloy side effects, here are some of the common harms of giloy use. While giloy may be good for your health for various reasons, it can be equally harmful in certain case. People who have health problems related to blood sugar levels should completely avoid the herb as it can further affect the blood sugar levels. Giloy can significantly lower the blood sugar levels, often posing risk of health problems triggered by low blood sugar levels. Always take giloy after consulting your doctor. Since giloy can have some unwanted side effects on the blood sugar levels, it can affect blood sugar levels during and after a surgery, increasing the risk of complications from the surgery. It is best to avoid giloy for few weeks before and after a scheduled surgery. Although giloy is quite effective in treating digestive health problems, it can sometimes further upset your stomach, regardless of the form it is taken in, leading to constipation. Consult your doctor immediately if you experience constipation or stomach irritation soon after consuming giloy. Giloy may sometimes over-stimulate the immune system, resulting in increase of frequency or severity or autoimmune disorder symptoms such as lupus, multiple sclerosis, and rheumatoid arthritis. People suffering from autoimmune disorders should avoid giloy completely.